Thanks to the convenience of photo editing software programs, the stuff that used to plague us amateur shutterbugs like red-eye or bad lighting are virtually distant memories. A big reason for this is due to how simple these software programs are to utilize. In this day and age the ability to crop, cut and paste, clean up, and add effects to your photos before sending them off has become nearly as crucial as snapping the digital shot itself. 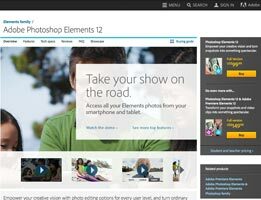 Express your creativity with Adobe Photoshop Elements! This photo editor is suitable for just about any experience level and allows users to crop, straighten, rotate, resize, brighten, and add contrast to their photos with ease. Photoshop Elements has a robust selection of options to share your work. 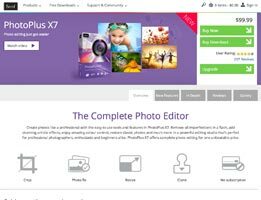 It's perfect whether you want to print, share socially, e-mail, or publish your edited photographs. Read our full review to find out more about Adobe. 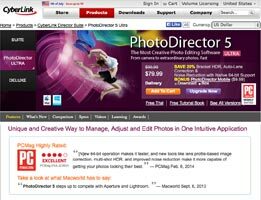 Even the most novice computer users can fire up Serif PhotoPlus, load up some shots, and perform all kinds of magic, making any photo look professional. That nasty red-eye or unfortunate blemish can be wiped away. That brutally large file image can be shrunk down to a size small enough to fit as an e-mail attachment. Serif PhotoPlus provides everything you could ever need to create jaw-dropping photos with little to no prior experience. Try it today! Cyberlink Photodirector is a one-of-a-kind photography tool that offers just about every feature that a professional would need to create amazing photos. 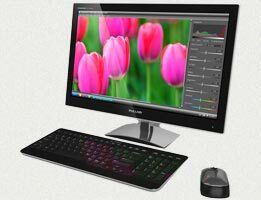 It allows users to manage photos, make adjustments, and add your own creativity from one window. The newest version offers native 64-bit support to enhance the quality of original photographs. This is a tool that can edit the subtle nuances of photos with ease and should be part of every photographers toolbox. 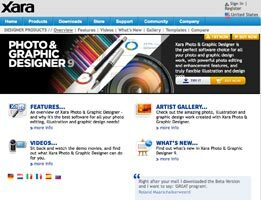 Xara Photo Graphic Designer contains tools that make you a much better photographer, such as cropping abilities and effect choices. The software’s ability to cut down the files into e-mail friendly sizes gives us the freedom to share our memories with our friends and family. Its ability to use a photo editing software gives us the peace of mind that comes from knowing that if we don’t get things right the first time, there’s always a second chance to improve and recreate. Most digital photographers amass thousands upon thousands of pictures very quickly, but never take the time to organize them. Before long, they end up with more photos than they can remember or manage. This does not bode well for good photography. Why? Because working efficiently requires being able to find a photo at a moment’s notice. It is for this reason that you should try as hard as possible to organize all your photos. Organizing your photos means labeling, rating and categorizing every single photo. Ocean-related photos go in that batch, while tornado-related ones go in the other batch. 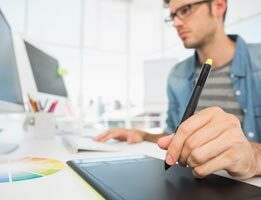 While this sounds tedious, be aware that there are plenty of software application suites that make this anything but complicated and tiresome. The best ones not only let you organize your photos, but they also let you edit them as well. You cannot become a better photo editor unless you first become a master healer. You need to know your chosen software suite’s healing tools like the back of your hand. As a reminder, healing tools are those used to remove imperfections like flakes, scratches, blemishes, pimples and crumbs. They basically let you heal a photo into pristine condition. The most common healing tools are patch tools, healing brush tools, spot healing tools and redeye tools. The thing to understand is that the healing tools differ based on your software suite and operating system of preference. Some suites permit you to adjust the size of the healing tool. Other let you modify the size of the blemished area. Figure out exactly how the tools in your chosen suite work and learn to use them to your utmost benefit. Manually adjusting one or two photos is just fine. However, if you need to edit hundreds of photos, then you need to learn batch processing. It is a higher-end tool that lets you apply certain ‘healing’ gestures and edits to large swatches of photos. The beauty of batch processing is that you don’t have to open each individual picture. You program the tool like a macro, choose the photos you want to edit and then run the batch. Batch processing works best with photos shot under similar conditions. Suppose for instance you took 200 photos at a wedding and simply wanted to adjust their white balance. Batch processing could help with this. 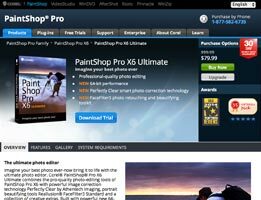 Note also that not all digital photo software applications offer batch processing. It’s usually only available in more expensive, higher-end suites. Organizing your photos, taking advantage of healing tools and using batch processing will without a doubt up your digital photography game. However, these are just a few strategies. There are countless more strategies available. In fact, new strategies appear every single day. The key therefore to becoming a better photo editor lies with being willing to soak up every itty bit of information that you find. If you do that, you’ll soon be among the best of the best.